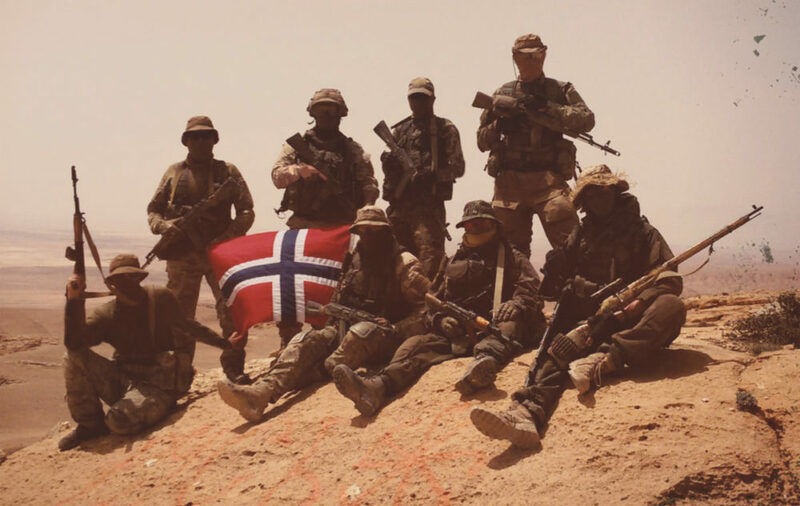 An exclusive interview given to Skandinavisk Frihet by one of the Scandinavian fighters in Syria has stirred interest internationally. We will comment on some questions that have arisen in the aftermath. The Norwegian publication Aldrimer was probably first out reporting about our article, and several international newspapers have referred to that site. While it is true they asked us for a comment it is not true that we declined. We simply stated that they had copied both our interview and our photos and requested as a minimum a link to our article from theirs. This, they refused. We accept the fair use of our material if decent credit is given. In cases exceeding fair use, an agreement has to be made. Several questions have arisen from different journalists and different publications so we will try to answer some of these questions at once to save time and also to correct misinterpretations that have circulated. We have talked to Björn Herstad, one of the editors at Skandinavisk Frihet about the coverage. Q: Let us start with a general question for our international readers. What is the League of Scandinavia and Skandinavisk Frihet. The League of Scandinavia*, or Skandinaviska Förbundet, consists of several different organizations dedicated in one way or another to the defense and promotion of the Scandinavian culture, the Western civilization, and the Christian faith. We work with social initiatives, cultural activities as well as political activism. Skandinavisk Frihet is a political magazine connected to this movement. Q: What is the organization´s connection to the unit and the situation in Syria? The threat from militant Islam is imminent; if IS manage to establish a permanent state structure this would fuel terrorism all over the globe. We can’t do anything else than to salute those brave ones risking their lives for our security, both yours and mine. We are in support of our Christian and Western culture and civilization. Initiatives who advance these interests we will cherish. For us we will comment on the practical issue at hand and we will be supportive of initiatives in that direction. We hope that the future holds a new generation vitalized with a fighting spirit and a sense of personal duty. Men who are uplifted by a sense of service to the community even to the distress of one’s own life. In this, these soldiers are an example. Q: Is one or several of the soldiers in the unit member of Skandinaviska Förbundet or Nordisk Ungdom? As you probably understand we never comment if an individual is a member or not. Q: Are the fighters in the unit right-wing extremists? A person who is sensible enough to protect us all from the Islamic State is hardly an extremist. Neither is a person who comments on the fact that the current elite is flooding our countries with immigrants, many Islamists, an extremist. Q: And your own organization? I do not consider the term to convey any meaning. Anyone seriously interested can read our short 8 point program. An honest description would be conservative – but in a fighting sense, we are promoters of a culture and a civilization. Q: Are your organization openly anti-Semitic? No, the only references I have seen is to Expo, a notorious left-wing organization in Sweden started by a Trotskyist and founded by Georges Soros. We reserve the right to criticize individuals, organizations, and states, regardless of their ethnicity, but we do not hold anything principally against any ethnic group. Q: Do you support Putin and Russia? We support good initiatives and the fight against IS is an example of that. However, we are not a supporter of Putin in any general sense. We are in fact very wary of Russian intra European aggression although we acknowledge the complexity of these situations that have arisen. We hope Russia can find an expression both aligned to her past and fully compatible with a common European quest.